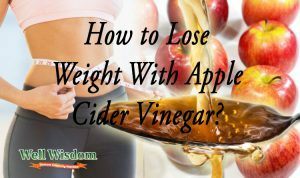 How to Lose Weight With Apple Cider Vinegar? Tired of trying diets that just don’t work and supplements that cost you a small fortune but deliver little in the way of results? Here’s the cheapest, easiest, most common supplement in the world to take: lose weight with apple cider vinegar! 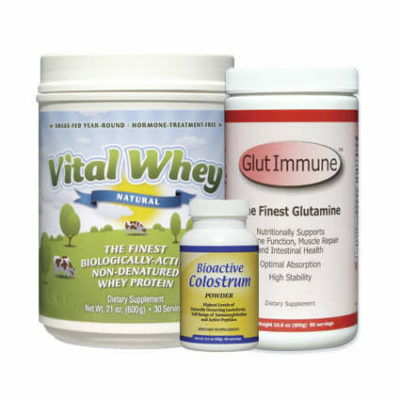 Not only will it be easy on your wallet, but it can make a real dent in your waistline. 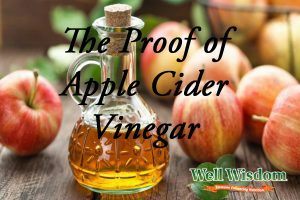 Hundreds of studies have been done into the benefits of apple cider vinegar, many of which indicated that this acidic liquid is a handy weight loss tool. Vinegar leads to decreased body fat gain. A 2014 study found that the acetic acid in apple cider vinegar helped to prevent mice from gaining body fat. The mice that took the acetic acid not only gained less fat but they had a higher energy expenditure throughout their day. Increased oxygen intake, and even utilized more of their body fat for energy than the mice in the control group. that drinking vinegar helped to torch body fat in those with high BMI. There are 155 obese people were given 15 to 30 ml of vinegar. They ended up with a lower body weight than those who drank only the placebo. Their waists also shrank and their abdominal fat decreased. Vinegar can help manage blood sugar levels. A 2005 study looked at the effects of vinegar—the acetic acid, specifically—on blood sugar levels. They found that those who consumed vinegar after eating a portion of white bread had lower blood glucose than those who consumed water. Not only that, but their insulin levels also decreased. Note: Insulin is the hormone responsible for controlling blood sugar levels. Resistance to insulin is a precursor to diabetes. Vinegar enhances feelings of fullness. In the same 2005 study mentioned above. The researchers discovered that the people who consumed the vinegar with the highest concentration of acetic acid felt the fullest. Lower concentrations of acid decreased the feelings of fullness, and those who drank only water barely felt full at all. This indicates that high-vinegar foods can help to encourage satiety and appetite suppression after a heavy. Vinegar can fight cholesterol. A 2016 study found that apple cider vinegar not only lowered body fat and decreased food consumption in mice, but it helped to lower the mice’s cholesterol noticeably. Considering that heart disease is the #1 killer in the world, it’s definitely worth taking apple cider vinegar to benefit from its cholesterol-lowering properties. Vinegar aids in digestion. Did you know that the acid in apple cider vinegar helps your stomach to break down the food you eat? Vinegar stimulates your body to produce more gastric acid. Which is needed to turn food into particles that can be absorbed via your intestines. Vinegar can also help to speed up the processing of fat, preventing it from spending too long in your digestive tract. It encourages your body to break down. And absorb the critical nutrients in your food, leading to better digestion overall. Vinegar helps your body use iron. Iron plays a role in your red blood cell production. Red blood cells carry nutrients and oxygen throughout the body. 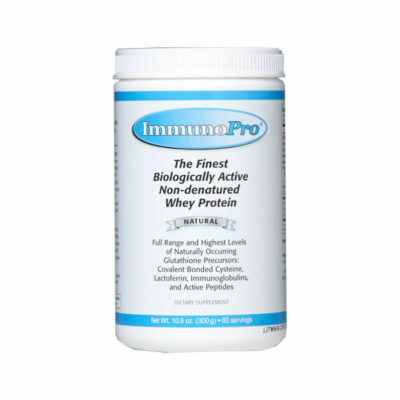 Making them some of the most important cells in your body. Apple cider vinegar helps your body to break down, absorb, and use iron more effectively. Vinegar maintains a healthy electrolyte balance. Sodium and potassium are the two nutrients we call “electrolytes”, which are responsible for regulating fluid in your body. Our modern diet includes a very high sodium intake but far less potassium than our bodies need. This is one reason heart problems are so common. However, apple cider vinegar delivers a hefty dose of potassium, helping to balance out your electrolytes and preventing excessively high sodium levels in your body. As you can see, vinegar has a lot of health benefits, not to mention it’s an awesome tool to help you lose weight. You’d do well to add more vinegar to your daily life! If your goal is to lose weight, you’ll find that lose weight with apple cider vinegar is a handy supplement to add to your diet. Best of all, you don’t have to drastically change your habits or spend a fortune on some new “miracle weight loss pill”. Everyone has vinegar in their kitchen, and it’s very easy to add it into your diet. Drink more water with vinegar. Pour yourself a regular-sized glass of water, then add a tablespoon or two of vinegar into it. 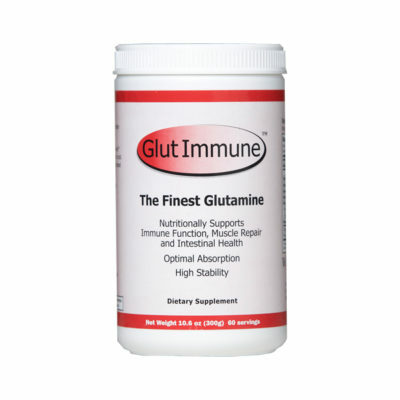 Drink this three to six times per day, either supplementing or replacing some of your regular water intake. The vinegar will help to boost your body fat burning and suppress your appetite. Note: If you find yourself feeling in a mood to snack, resist the urge and have a glass of vinegar water instead. The vinegar will help to suppress your appetite! Replace your salad dressings. Instead of pouring ranch or Caesar salad dressing over your salads, use a mixture of olive oil (another handy fat-burning food) and vinegar with salt and pepper for flavor. It’s rich, easy, and far lower in empty calories than prepared salad dressings. Best of all, the vinegar will help to kick your fat loss into high gear and shut down your appetite at the end of your meal. Eat pickled foods. Pickles, pickled cabbage, pickled daikon, and anything else pickled is very likely made with a high vinegar content. These veggie-based foods tend to be fairly low in calories, but they can help to increase your vinegar intake. Add vinegar to your dishes. If you’ve got a bowl of chicken soup, add a bit of vinegar for an extra tang and a fat-burning boost. Pour a splash of vinegar into your pork dish, meat dish, or even a bowl of beans. That addition can do wonders for your weight loss! Warning: If you suffer from ulcers, heartburn, or acid reflux, apple cider vinegar may exacerbate the problem. Check with your doctor before adding it to your diet. Apple cider vinegar isn’t a miracle weight loss cure, so don’t expect it to work overnight. However, if you pair it with a healthy exercise program and a diet rich in lean proteins, veggies, fruits, and whole grains. You’ll find that it can be the handy addition to your life that can lead to real results in the long run.